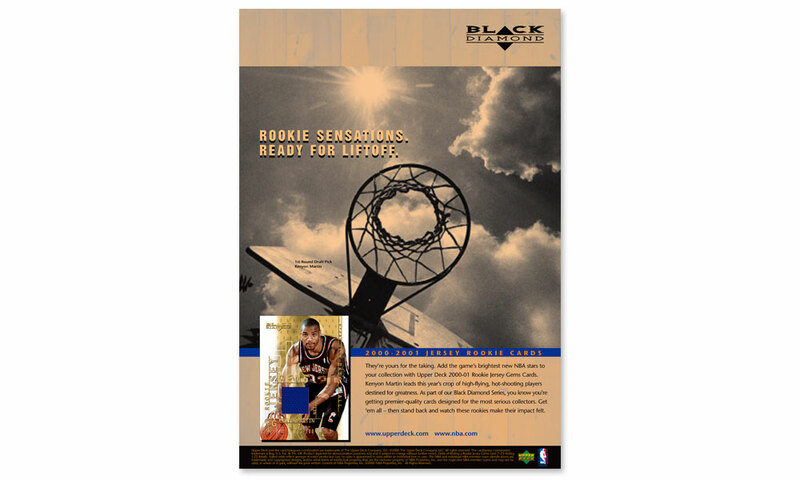 Upper Deck tasked BrainShine to create print ads for their upcoming NBA rookie season cards. These innovative cards featured a square of actual jersey worn by the rookies with their respective teams. 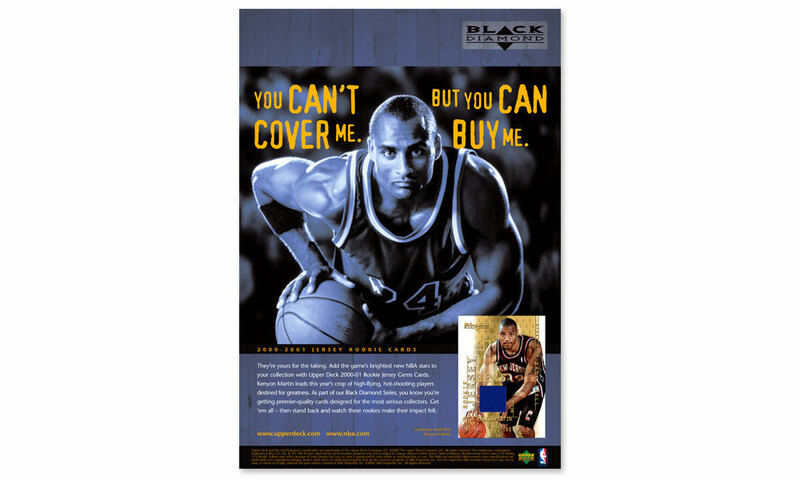 To sell the set, we chose to bring the attitude from the court into the creative. 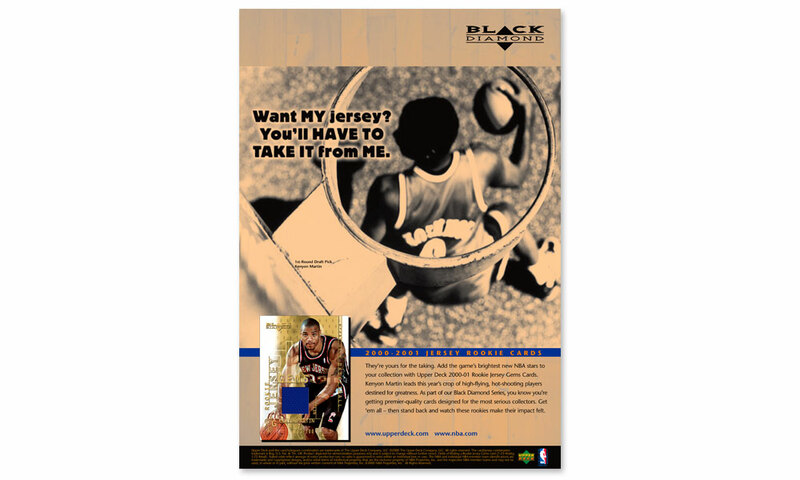 This series of ads ran in national sports publications and drew international demand. 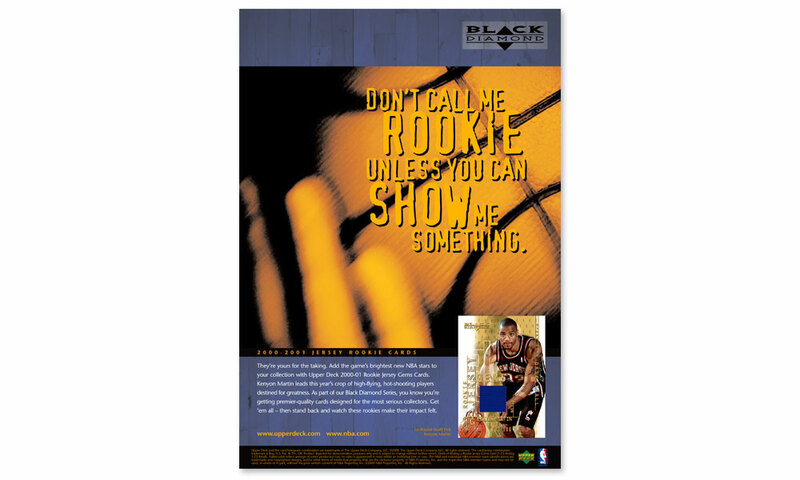 With these smack-talking headlines, we helped Upper Deck have one of their biggest rookie card distributions and fastest selling sets to date.